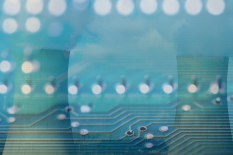 The University of Maryland will host a professional workshop on cybersecurity, May 4-5, 2011, that focuses on the critical infrastructure and the commercial nuclear power industry. Academic leaders at the university together with individuals from the Nuclear Regulatory Commission (NRC), the commercial nuclear power industry, and other research institutions will explore new regulatory and industry-led initiatives to protect nuclear power plants from cyber-based threats. 2. Highlight the latest efforts underway to protect critical systems in use at nuclear power plants from cyber attacks. The conference will be held at the University of Maryland Samuel Riggs IV Alumni Center and will feature content on effective security planning, risk management, cross-sector cyber protection, industrial control system security, security program effectiveness and metrics, as well as current threat briefings and inspection protocols. To learn more about the Commercial Nuclear Power Cybersecurity Conference and to register online, visit www.advancedengineering.umd.edu/ncsc or www.cyber.umd.edu. In addition to the conference program, a technical exhibition will be held on-site for the duration of the event.